The University of Massachusetts Amherst told students this week that it will no longer accept Iranian nationals into graduate programs in chemical, computer, and mechanical engineering or the natural sciences, to avoid violating US sanctions against Iran. The college’s new policy, which appears to be rare if not unique among US universities, appeared to catch the US State Department by surprise and also drew criticism from some Iranian students in UMass Amherst graduate programs. “We feel that it’s against the American spirit of freedom in education,” said Amir Azadi, a member of UMass’s Iranian Graduate Students Association, which he said has about 60 members. In explaining its stance, the university cited a US Department of Homeland Security policy, based on a 2012 federal law, that declares Iranian citizens ineligible for US visas if they seek higher education in preparation for careers in Iran’s energy sector or any field related to nuclear power. The decision was announced as the United States and other nations pursued restrictions on Iran’s nuclear program. Iran says its program is for civilian purposes, but some Western countries fear it is seeking to build a nuclear arsenal. The school had banned Iranian nationals from chemical, computer, and mechanical engineering graduate programs. A US State Department official said that the department was aware of news reports about the UMass decision but that there had been no changes in federal policy regarding Iranian students and he could not say why UMass would change its policy. The department will contact UMass to discuss the decision and will answer any questions from other academic institutions about the law, the official said. “All visa applications are reviewed individually in accordance with the requirements of the US Immigration and Nationality Act and other relevant laws that establish detailed standards for determining eligibility for visas and admission to the United States,” the official, who declined to be quoted by name, said in an e-mail. 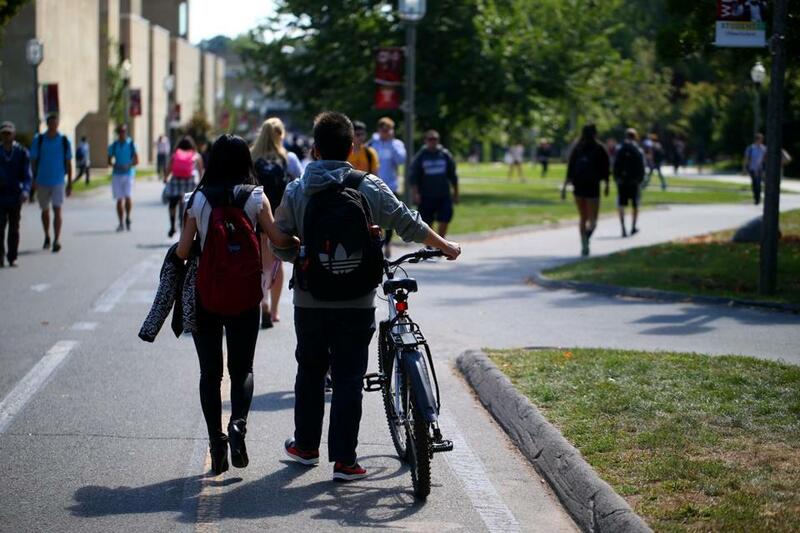 The UMass policy was formalized and published online after an inquiry by an Iranian student. The university’s goal was to clarify the rules and protectstudents, faculty, and fund sources from disruptions to research caused when current students are delayed or prevented from reentering the country because of visa issues, said Mike Malone, UMass’s vice chancellor for research and engagement. He said such a situation arose with an Iranian student in the past two months. The written UMass policy, which includes an acknowledgment that “the exclusion of a class of students from admission directly conflicts with our institutional values and principles,” was developed “reluctantly” and after consultation with faculty and graduate students, Malone said. He could not say whether Iranian students were among those involved. Azadi said the policy was announced to students by e-mail Thursday. He said it is discriminatory and goes beyond federal law in excluding students from learning opportunities. “We totally understand the concern of UMass that Iranians should not pursue any research in nuclear energy, in those fields mentioned in the law,” said Azadi, a doctoral student in theoretical physics who studies the formation of crystalline structures, such as snowflakes. “We just want UMass not to generalize to all the Iranians,” he said. Malone said that after discussing the issue with outside legal counsel and with faculty at other institutions, administrators believe UMass is in the mainstream of American institutions in having such a policy, though it is rare to publish it. Trita Parsi, president of the National Iranian American Council, said it is “not aware of any other universities that have announced it” but that others probably have quietly developed similar policies. “There are undoubtedly other universities that have misinterpreted the law,” he said. Parsi said that after the passage of the federal Iran Threat Reduction and Syria Human Rights Act of 2012, “several companies had misinterpreted the law this way,” but he had hoped that phase had passed. Before Iran’s 1979 Islamic Revolution, Parsi said, Iranians made up perhaps the largest group of foreign students in the United States. While those numbers have dropped significantly, many top students still come from Iran and go on to take leadership roles in major US companies and important positions in Iran, he said. “It has actually created a tremendous amount of soft power for the US in Iran; in fact several top Iranian ministers are US-educated,” he said. This is why, despite poor relations between the nations’ governments, the Iranian people remain among the most pro-US in the Middle East, he said. “It’s much more difficult to vilify the United States when you actually know the United States,” Parsi said. 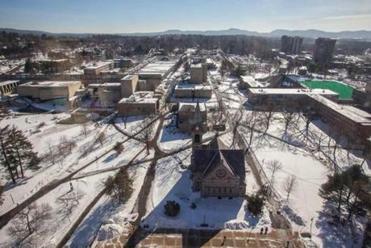 UMass’s guidelines also affect currently enrolled Iranian students, who will be required “to acknowledge the restrictions imposed by the 2012 sanctions and certify their compliance in writing,” according to the statement. Jeremy C. Fox can be reached at jeremy.fox@globe.com. Steve Annear can be reached at steve.annear@globe.com.